This Level 3 exercise referral course provides the key skills and knowledge required to establish you as an exercise referral practitioner. It is suitable for experienced instructors and personal trainers seeking to work with special populations in both preventative and rehabilitative exercise therapies. This stimulating exercise referral course will challenge you and widen your knowledge and understanding of the health promoting benefits of physical activity. You will need to hold a qualification in either a level 2 fitness instructor, level 2 exercise to music instructor, level 3 yoga, or a level 3 Pilates. 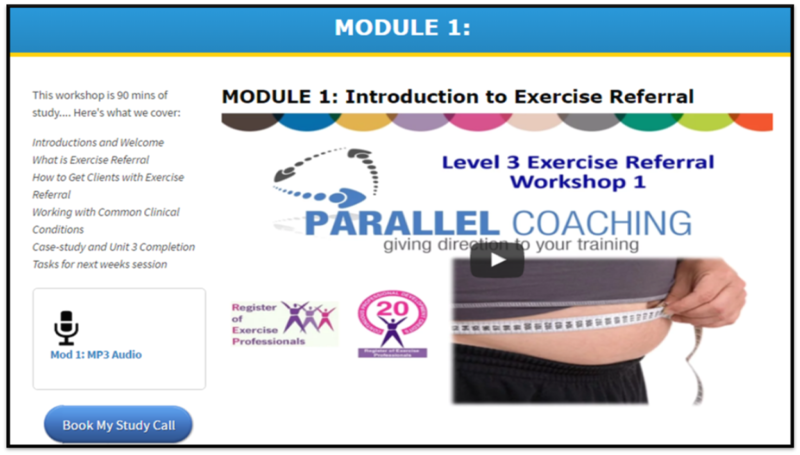 If you are in the fitness industry and you wish to progress to Level 4 on the Register of Exercise Professionals (REP’s) you will need to complete the Level 3 exercise referral course first. You will be supported throughout your studies with weekly calls to suit your needs. The quickest someone has completed this course is 3 weeks, with the average learners spending 8 weeks to complete. There are a number of assessments covered on this course but it will depend upon your existing qualifications. For instance, personal trainers will have completed two of the units and therefore will not need to cover these again (Level 3 Nutrition for Physical Activity and Level 3 Anatomy and Physiology). For level 2 students, they will be required to complete all of the assessments. ~ Instructing exercise with referred patients (worksheet, practical assessment and evaluation). Yes this course can be found on the national Qualifications and Credits Framework (QCF) website meaning that this is recognised across the UK and hold 20 REPS points. Gain access to 70% of the population that fail a PARQ and are not categorised as "fit and healthy"
What is the Level 3 Diploma in Exercise Referral? You may already have completed your L3 A&P and L3 Nutrition, in which case you won't need to do them again. However, if you haven't completed these exams, you'll have unlimited access to our Revision Mastery Series' to guarantee you pass! 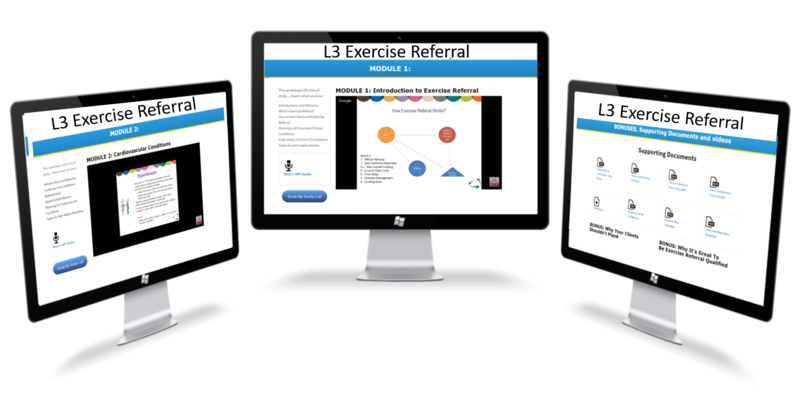 What are the 8x Level 3 Exercise Referral modules? Each video module is specifically mapped to your level 3 exercise referral manual and the leading awarding bodies: Active IQ. The Level 3 Exercise Referral Qualification is £499 u̶s̶u̶a̶l̶l̶y̶ ̶£̶5̶5̶0. All 8x full HD video modules, Active IQ course manual, Instant Learning Hacks, Exams if required, MP3 downloads, and unlimited student support and lifetime access. You will learn everything you need to become an effective Exercise Referral instructor. Each module is approximately 1-2 hours long; not only explaining the “Ins & Outs” of all 14 conditions, but explained with analogies and client stories to spark your instructor creativity and effectiveness. 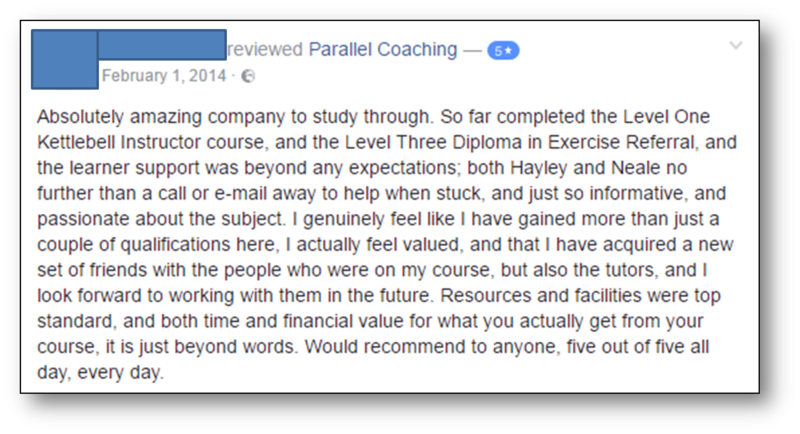 You will learn everything required to pass the qualification, and a lot more beside, so you leave confident and ready to train Exercise Referral clients immediately, through the guidance of your experienced tutor. Ideally, you will have a level 3 fitness qualification, having passed your Level 3 Nutrition for Physical Activity Exam and your Level 3 Anatomy and Physiology Exam. This exempts you from completing these exams again. However, we can also accept enrolments from those who are qualified at level 2; so, if you are unsure please book a call below to chat about your options. You need to be passionate about working with “less-healthy” clients. As a Level 3 Exercise Referral Instructor you can work within an existing exercise referral scheme or set up your own contacts to healthcare professionals. You are instantly able to work with the remaining 70% of the population that fail a PARQ, and need your help to get fitter and healthier. If you are looking for more learning , you can progress to any Level 4 specialist course, as a result of having completed the Exercise Referral qualification! If you want to work with clients that fail a PARQ than this qualification is a must, allowing you to become insured and competently get results with higher risjk clients. If you have used one of our previous Revision Mastery Series to help you pass your exams, then you know that our teaching is clear and easy to understand. We also offer 24/7 support, so you can call your tutor whenever you need help with your studies.